A selection of tubular cartons. A selection of bottle tops. Black, white and silver acrylic paint. Hot glue gun (for attaching plastic bottle tops). 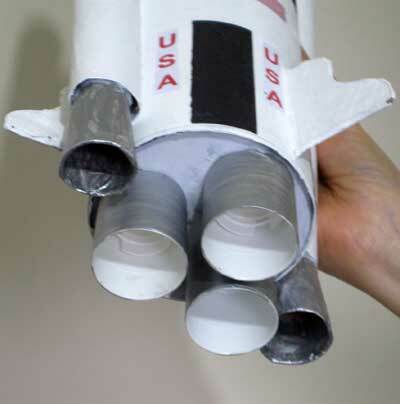 Make this super space rocket from bits and pieces such as empty cartons, bottle tops and scraps of card and paper. 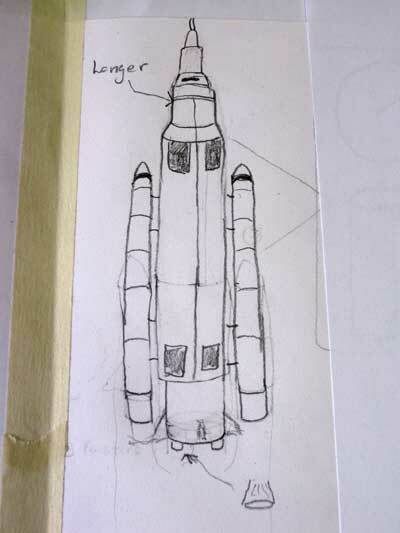 Just follow these instructions and tips, or you can change any of the details to make the rocket in your own style. 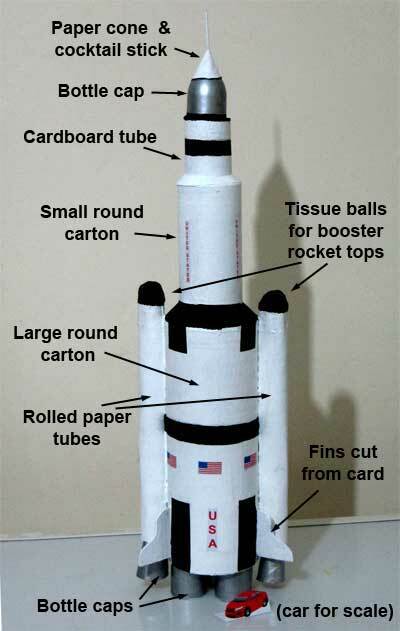 Follow these tips to make the details for your rocket. 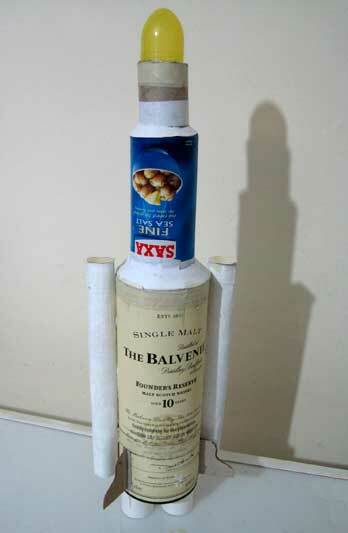 A simple way to make a paper cone. then cut from the rim to the centre. 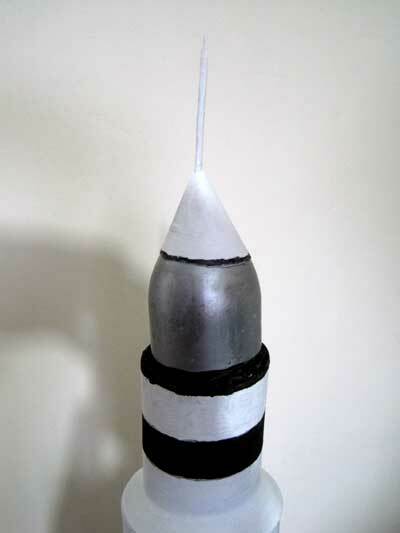 The booster rockets are made from rolled up paper tubes, and glued to the body of the rocket. 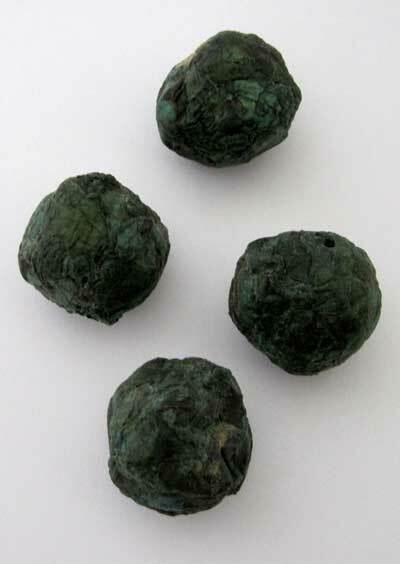 The rounded tops are simply made from glued and rolled tissue paper balls to fit the ends of the paper tubes, and are fixed in place with small strips of glued tissue. 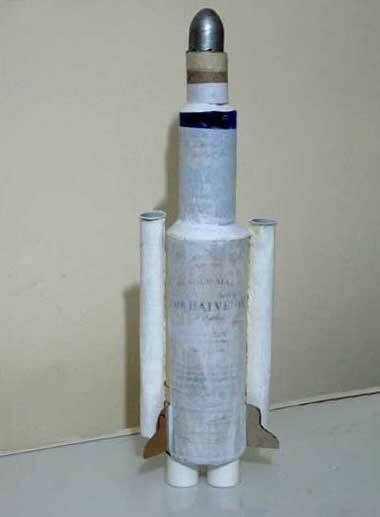 The rocket engines are small plastic bottle tops covered with glued copy paper and left to dry, to make them easier to paint with silver acrylic paint. 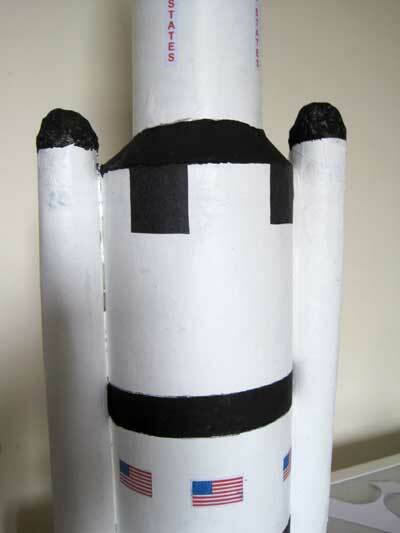 Once the paint is dry the engines can be fixed to the base of the rocket, and the bottom of the booster rockets, using a hot glue gun. The rocket fins are cut from card, two card fins can be stuck together and the tabs folded out to stick to the body of the rocket. 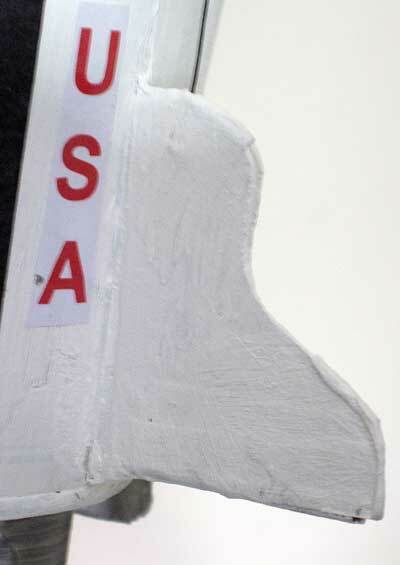 Two fin templates are available on Space Rocket.pdf, but you can make your own fins of whatever size and shape fits your rocket best. Download Space Rocket.pdf and print these instructions together with a set of logos to cut out and stick on the white background areas of your rocket as required. 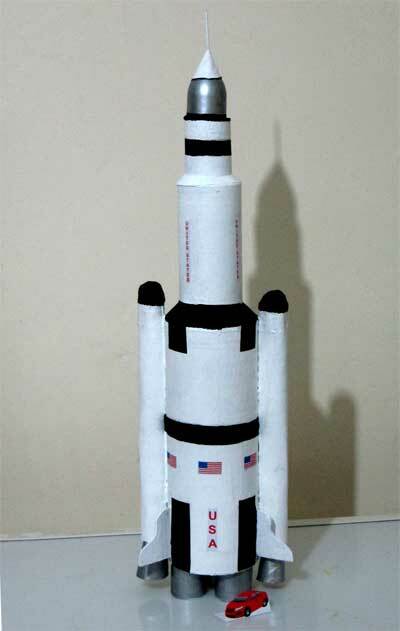 cut out and fix the logos to your rocket and show it off!